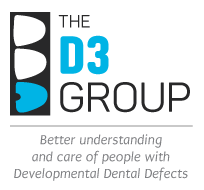 Again building on the Basic Guidelines, here we aim to define the key "shades-of-grey" questions, as may be asked by experienced GPs and paediatric dental specialists, and as could be used in experimental design by researchers. As a starting point, please consider existing guidelines (summaries below) before proceeding to rethink the issues through in a research-friendly way. Q A1: Is the description "demarcated opacities" always valid for Molar Hypomin? do all lesions have clearly-demarcated borders? are all lesions densely opaque, as distinct from mottled or diffuse? disregarding aetiology, can Hypomin teeth have diffuse as well as demarcated opacities? is there a place for molecular diagnostics, which in principle are now within reach? Q A2: Does the cuspal location of lesions hold most diagnostic value? are Hypomin lesions always located in the occlusal half? do the exceptions hold diagnostic value (and so rate a mention)? is it better to focus on occlusal half to avoid confounding with cervical caries? is it better to overlook occlusal lesions to avoid confounding with normal pit/fissure caries? do cuspal lesions hold highest diagnostic value? Q A3: Does spatial patterning of lesions hold diagnostic value? do Hypomin lesions have distinctive topographical features (shape, relative positions)? do all lesions exhibit a chronological pattern across affected teeth? Q B1: How important is the number of involved molars and asymmetry? is asymmetry (left/right, maxilla/mandible) pathognomonic for Molar Hypomin? should asymmetry receive more attention as a key diagnostic feature? Q B2: Does incisal involvement strengthen the diagnosis? might this chronological association help invoke a causal insult? should incisal cases lacking molar involvement be disregarded as a separate entity? disregarding aetiology, are "Incisor Hypomin" & Molar Hypomin lesions basically equivalent? Q B3: Does co-involvement of other teeth weaken the diagnosis? should Molar Hypomin be conceptually limited to chronologically-linked teeth (6s/Es/incisors)? could co-involvement of later-developing teeth reflect later insults? are "Other Hypomin" lesions fundamentally equivalent to Molar Hypomin lesions? Q C1: Can Molar Hypomin and fluorosis appear in the same mouth? is it common to see (supposedly) fluorotic incisors together with Hypomin Molars? can fluorosis and Hypomin be distinguished on the basis of dental symmetry? should possible co-occurrence of fluorosis impede a Molar Hypomin diagnosis? robust criteria to distinguish Hypomin and fluorosis, besides demarcated/diffuse opacities? again, is there a place for molecular diagnostics (which in principle are now within reach)? Q C2: Can Molar Hypomin and fluorosis appear in the same tooth? can fluorosis be distinguished from white/mild Molar Hypomin lesions reliably? Q C3: Can caries in Hypomin enamel be distinguished from caries in normal enamel? does the mineral deficiency and porosity of Hypomin enamel lead to a distinctive caries? can occlusal caries in Molar Hypomin be distinguished from normal pit/fissure caries? can mesial/distal caries in Molar Hypomin be distinguished from normal interproximal caries? are caries-progression rates in Molar Hypomin faster than in normal teeth (how much)? is caries progression in Molar Hypomin associated with distinctive plaque characteristics? Q C4: How best can Molar Hypomin breakdown be distinguished from Hypoplasia? do all "Hypoplastic lesions" (localised hypoplasias) have visibly-rounded & regular margins? during breakdown, do all Molar Hypomin lesions have visibly-sharp & irregular margins? are most Hypoplasias relatively static (resistant to degradation) post-eruptively? are the rates of post-eruptive degradation a key discriminator for Hypomin/Hypoplasia? do Hypoplastic lesions often appear on the same tooth as Hypomin lesions? can Hypoplasia and Hypomin be distinguished on the basis of dental symmetry? should possible co-occurrence of Hypoplasia impede a Molar Hypomin diagnosis? is it practicable to verify that Hypoplasias existed before emergence, as per the definition? A clear clinical need exists to strengthen the diagnostic parameters for Molar Hypomin. One enticing possibility is to harness modern diagnostic technologies such as light-induced fluorescence (article), should studies extend their utility from caries to Hypomin. Strong potential exists to supplement current clinical parameters (e.g. visual, X-ray) with more-stringent diagnostic tests. Such tests might be based on distinctive biophysical or biomolecular properties of affected teeth. Ultimately, by making diagnosis accurate and simple, new clinical tests may lead to better treatment solutions on the lifelong term.